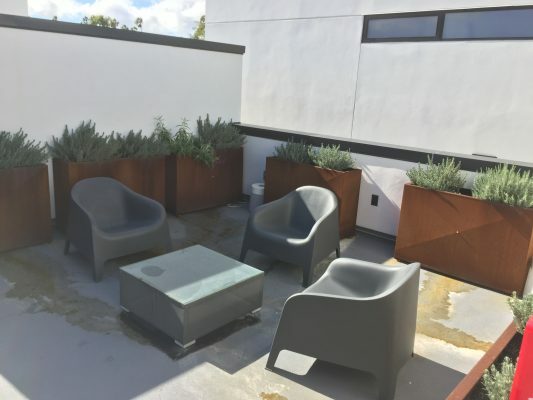 There are three Rooftop Garden Patios at SBCAST. All are accessible by stairway. 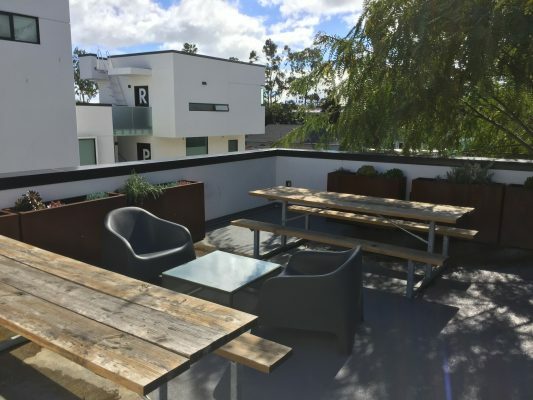 Patios feature outdoor seating, BBQ grill, picnic and coffee tables. Two Patios are 400 square feet and one is 300 square feet. 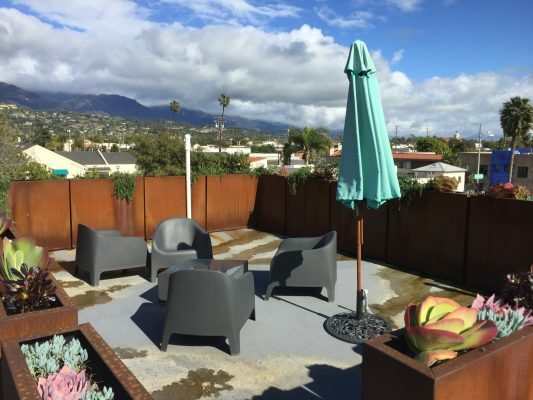 The Patios afford lovely views of downtown Santa Barbara. Electricity and water access provided.